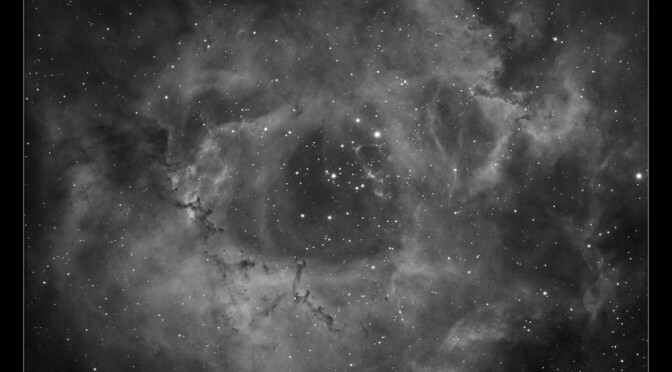 The Rosette Nebula is a large H II region located in the constellation of Monoceros, just to the left of Orion. The nebula is a large star forming region with a cluster at the centre that , through the action of the stellar winds, has blown a large cavity out of the nebula from which it formed. 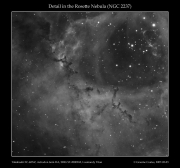 The nebula itself is often referred to simply as NGC 2237 (though NGC 2238, NGC 2239 and NGC 2246 are all parts of the same nebula). The cluster is designated NGC 2244. 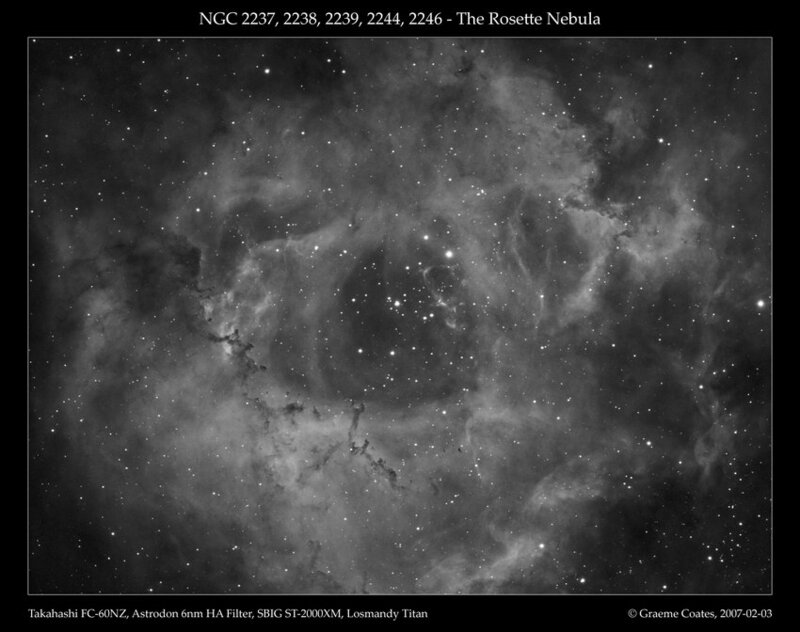 At 100% scale, the detail in the Rosette Nebula (showing the dark regions obscuring the bright emission nebula in the background) shows the effects of the stellar winds from the hot stars of cluster NGC 2244 (top right). This is a crop from the full size image above.